Larval hosts are in the citrus family and Florida Native Plants include WILD LIME (Zanthoxylum fagara), Hercules club (Zanthoxylum clava-herculis) and hop tree (Ptelea trifoliata). To avoid predation, it mimics the look of bird poop. Does not sting. Wasp mimic. Adults pollinate. Flies during the day. 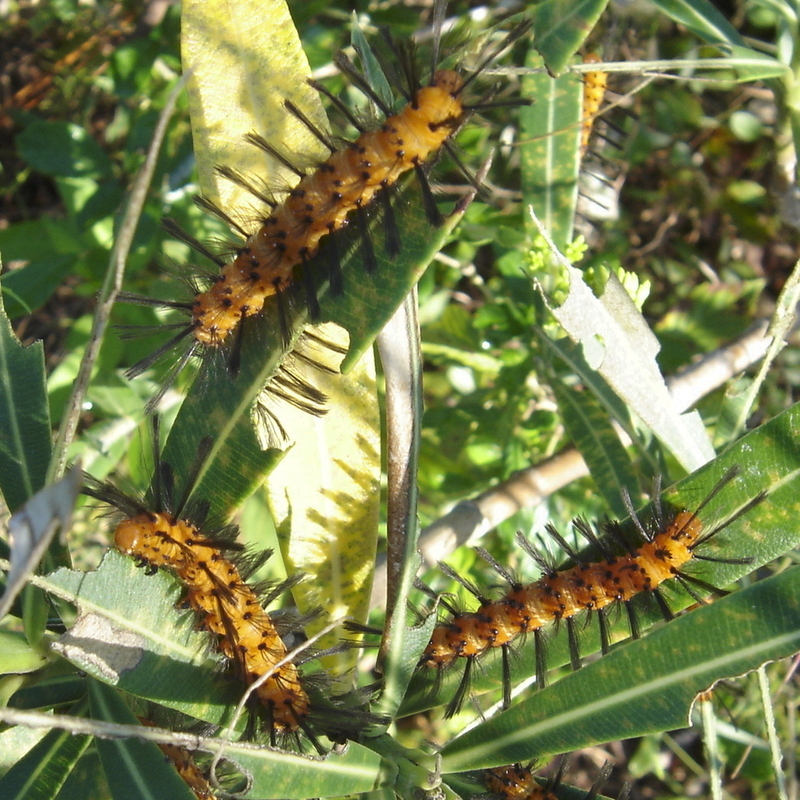 The caterpillar of this species has the common name: oleander caterpillar. Larval hosts: Florida native: DEVIL’S POTATO; RUBBERVINE (Echites umbellatus) (limited to coast of southern Florida); Exotic: Oleander which has expanded it range throughout the U.S. Adults nocturnal, come to lights. Larvae feed on roots. This one was in the clutches of a tiny spider under the patio light. an annual species. Periodical cicadas do not occur in Florida. Came to patio light after dark.